In Cambridge, Massachusetts, visitors enjoy a selection of outstanding museums, a vibrant performing arts scene and great restaurants. 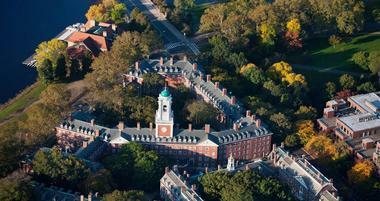 Visit the Harvard Art Museums, the MIT Museum, and Longfellow House - Washington's Headquarters National Historic Site. 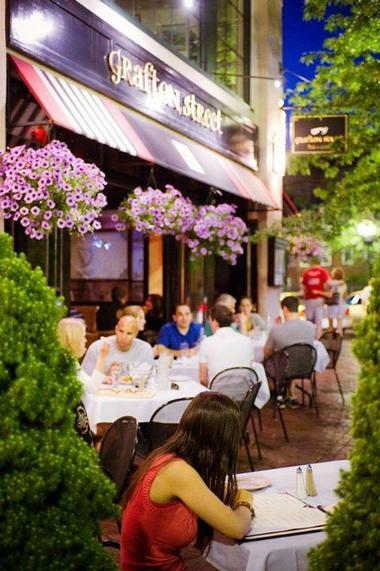 Stroll through Harvard Square, have dinner at one of the local restaurants and watch a theater performance. Here are the best things to do in Cambridge, MA. The Busch-Reisinger Museum opened in 1903 and is the only museum in the U.S. exclusively devoted to artwork from the German-speaking countries of Europe. The Arthur M. Sackler Museum is the newest museum; it opened in 1985 and contains pieces of art from Asian counties like China, Japan, and Korea. Founded in 1998, the Harvard Museum of Natural History features a collection of 12,000 specimens and is the university's most visited museum and one of the top Cambridge attractions. The permanent galleries exhibit dinosaurs, fossils, gemstones, meteorites, and the world famous Blaschka ‘Glass Flowers’. 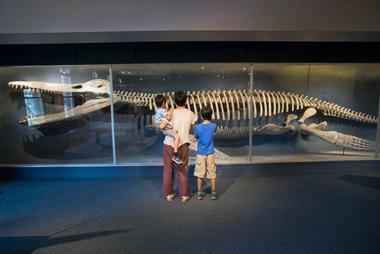 Admire the 42-foot Kronosaurus, a marine reptile from the time of the dinosaurs which is the world's only mounted specimen. The museum welcomes 240,000 visitors per year. There are several outreach programs, including hands-on experiences for children and lectures and other events for adults. 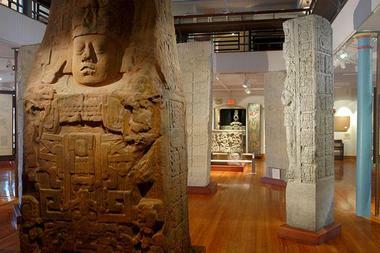 Admission includes the adjacent Peabody Museum of Archaeology & Ethnology. Located on Brattle Street, Longfellow House - Washington's Headquarters National Historic Site was the home of the famous American poet Henry Wadsworth Longfellow and is one of the best things to do in Cambridge, Massachusetts. The house was built in 1759 and served as the headquarters for General George Washington during the Revolutionary War between 1775 and 1776. At first, Longfellow lived in the house as a tenant, but later, in 1843, his father-in-law bought it for Longfellow and his wife. 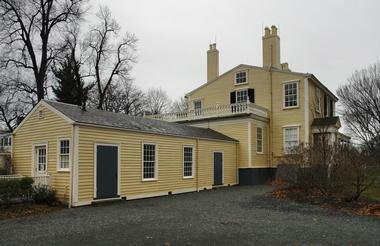 Longfellow lived in the house until his death in 1882. The house and garden are open every day, and tours are offered seasonally. The site also hosts special events such as historic reenactments, music concerts, and poetry readings. 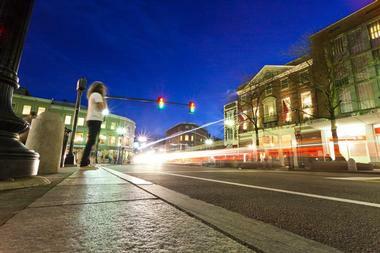 Harvard Square is the central business district and historic center of Cambridge. It is a triangular plaza located at the intersection of Battle Street, John F. Kennedy Street, and Massachusetts Avenue. 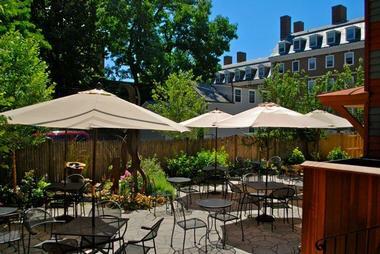 Sometimes called the Square by locals, Harvard Square is adjacent to Harvard Yard, the center of Harvard University. The Square functions as the commercial center of the city as well as for students of the university. The square is a vibrant area full of bookstores, coffee shops, hotels, restaurants, boutique shops, and theaters. Because it is a high pedestrian area, Harvard Square is known for its lively street performers. 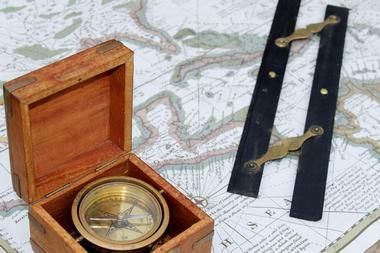 Founded in 1971, the MIT Museum is known for its collections related to the history of MIT, maritime history, holography, photography, robotics, and much more. The 5,000-square foot Mark Epstein Innovation Gallery is located on the ground floor of the museum and showcases the most recent research and developments in technology at MIT. In addition to its permanent collection, the museum often presents temporary exhibits of art and technology displays. The museum has many outreach programs for children and for adults, and it sponsors the annual Cambridge Science Festival. Located on Divinity Avenue on the campus of Harvard University, the Peabody Museum of Archaeology and Ethnology is one of the world’s oldest and largest museums devoted to anthropology. 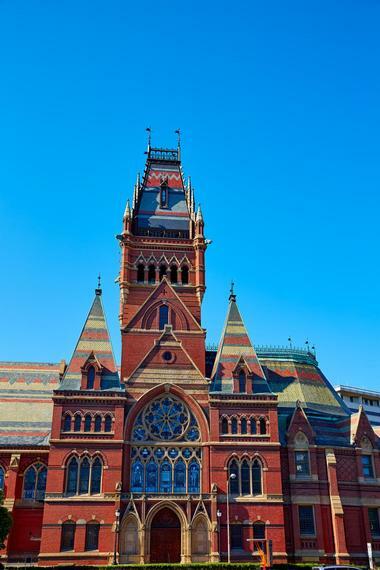 Founded in 1866, it is associated with Harvard University and is home to more than 1.5 million objects. The anthropology objects display and celebrate the archaeology and the ethnography of the Americas and include some 300,000 photographs, 2,000 maps, and much more. Nearly one quarter of its collection features artifacts from North America that span a period of 10,000 years. Although its focus is on the Americas, the museum’s collection also includes objects from Africa, Asia, Europe, and Oceania. The Hahvahd (the way they pronounce “Harvard” in Cambridge) Tour is a 70-minute walking tour of Harvard University, one of the most prestigious universities in the world and alma mater of some of the great world authorities in a variety of fields. The tour is lead by Harvard students, who scripted the tours as unique theatrical performances featuring several themes: Insider Information, Harvard History, and Famous Harvardians. The American Repertory Theater (A.R.T.) 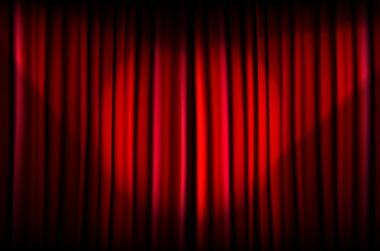 is a professional theater company located in the Loeb Drama Center on Brattle Street at Harvard University. It was founded in 1980 and is known for presenting new American dramas and musicals as well as reviving neglected but poignant plays from the past. It is one of the most important theaters in the U.S. and has won many awards, including three Tony Awards, a Pulitzer Prize, and more. If you are looking for romantic date ideas in Cambridge, this is a great place to visit. 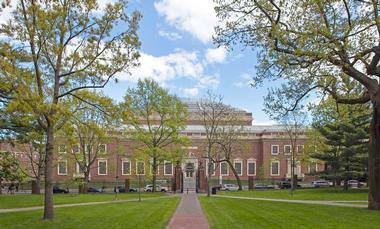 The theater is also the home of the Institute for Advance Theater Training and the Harvard-Radcliffe Drama Club. 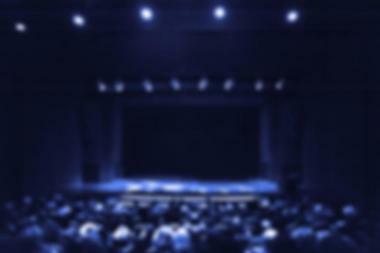 The theater has presented works by famous playwrights such as Chekhov, Fo, Fuentes, Mamet, and many others. 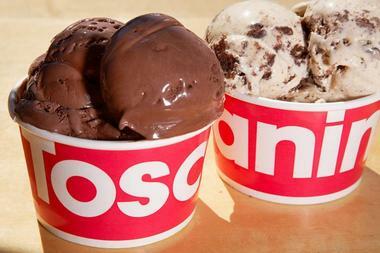 Toscanini's is a spacious, modern shop in Cambridge's Central Square, just around the corner from the MIT campus. There are hundreds of flavors that rotate throughout the year, but their signature flavors are always available. At any time, there are 32 possible flavors and newbies are encouraged to ask for samples. Be brave and ask for their famous B3 flavor, which is a mix of brown sugar, brown butter and chunks of fudge brownie, or the bourbon-gingersnap ice cream. If you are more of a traditionalist but perfectionist nevertheless, go for strawberry and Belgian chocolate. It will take you straight to heaven. Imagine if you could inhale your morning coffee for an instant hit of caffeine. Well, there’s no reason to merely imagine it – you can buy inhalable coffee for $2 at Cafe ArtScience. ArtScience is something between a restaurant, a bar, an art gallery, a “concept shop,” and an event auditorium. Or perhaps you might call it a food lab. Café ArtScience is located in Kendall Square next to Le Laboratoire Cambridge, an art, science and innovation center. Both the restaurant and the Center are creations of David Edwards, a Harvard University professor of biomedical engineering. His background should explain a lot. Many innovations from the Center have been introduced in the Café: the WikiPearl, an edible “skin” for serving everything from water to ice cream and Le Whaf, a machine that turns liquid into vapor, to mention just a few. The décor blends the clinical orderliness of a lab and the sleek, modern lines of an art gallery. Somehow, the ambience is perfect for encouraging conversation, which is what inevitably happens when you order something like Crispy Heads of Grilled Massachusetts Shrimps with Truffled Cream of Corn and Ham Emulsion. Visiting Café ArtScience is an experience, and, for all we know, a glimpse of things to come. 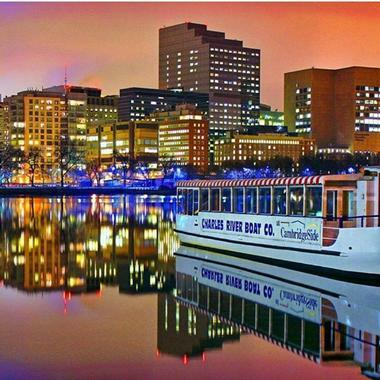 Charles Riverboat Company, founded in 1990, offers a variety of sightseeing tours in the Cambridge area. The tours give guests the best views from the Charles River Basin and Boston Harbor and, at the same time, the opportunity to learn about the rich maritime history of the area. One of the most popular tours is the 60-minute narrated Charles River Tour, with provides views of Beacon Hill, Boston University, Esplanade Park, Harvard University, MIT, and more. The 90-minute Architecture Tour focuses on the buildings along Boston Harbor, the Charles River basin, and the Charles River locks. The 75-minute sunset cruise gives passengers memorable views of the Boston Harbor skyline. Bondir is reminiscent of old French farmhouses-turned restaurants you might find by accident while driving through Bourgogne. It is small, simple, and cozy, and every detail has been carefully chosen, from the hand-made dishes to the old lace curtains and colorful flowers in earth ware pots. The warm atmosphere is just the right background for a truly memorable dining experience. Owned and run by the top chef Jason Bond, Bondir offers what Bond calls “Cambridge cuisine” – a type of cuisine the restaurant can produce thanks to its proximity to the ocean and because of the fact it is surrounded by small, family farms producing organic and heirloom fruits and vegetables. The menu varies daily depending on what is available and in season. If you are lucky, you might get Roasted Foie Gras from Hudson Valley with pear consommé, Dulce seaweed, and dried figs. 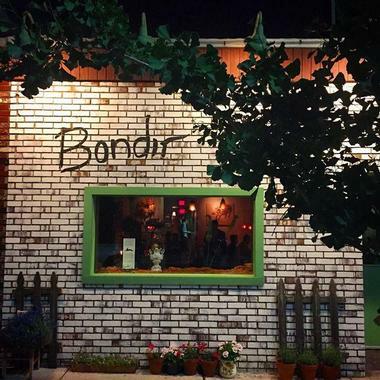 Bondir has small but very nice wine list with selections from all over the world. Orinoco offers a taste of Venezuelan street food in a cozy, welcoming restaurant with a lovely outdoor patio on Harvard Square. Vibrant décor and warm colors create a pleasant, cheerful atmosphere perfect for trying the traditional Venezuelan street food-inspired dishes, which are made with local, fresh, and seasonal ingredients. The menu relies on old Venezuelan family recipes that are a flavorful blend of the cuisines of the Andes, Orinoco coast, and the Caribbean islands. The best way to get an idea of what that means is to try a bunch of antojitos or “little cravings,” appetizers such as meat- or veggie-filled empanadas or datiles (grilled, almond-filled dates wrapped in bacon). Sanders Theatre is a historic theater that is one of three parts of the High Victorian Gothic Memorial Hall just north of Harvard Yard in Cambridge. Completed in 1875, the theater was inspired by the Sheldonian Theatre built by Christopher Wren. The theater can seat up to 1,166 people and is the largest meeting place at Harvard University. Celebrated for its excellent acoustics, it is a popular venue for ceremonies, concerts, and lectures. Famous speakers at the theater have included Winston Churchill, Mikhail Gorbachev, Martin Luther King, Jr., and many more. Exterior architectural features of the theater include busts of famous speakers like Cicero and Daniel Webster, while the inside features statues and a stained glass window entitled Athena Tying a Mourning Fillet. If “therapeutic food created with love to feed your vitality” resonates with you, you will love Life Alive, and you will find it to be a true urban oasis, as well as a place to heal your spirit. For those who aren’t there for the new age ambience, the excellent vegan and vegetarian food will be enough to pique their interest. Life Alive has three locations, and the one in Cambridge is a colorful, cheerful, and comfortable place for a pleasant lunch. 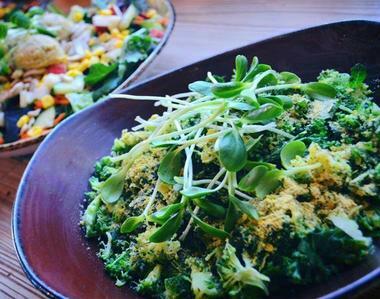 Everything is fresh and organic, and dishes feature many super food ingredients. You’ll find combinations of Thai noodles, nutrient-rich salads, and imaginative wraps. The ingredients combine to create rich flavors we do not often find in vegetarian dishes. They also have tasty smoothies and juices. Central Square is an area in Cambridge where Massachusetts Avenue, Prospect Street, and Western Avenue meet. The section on Massachusetts Avenue between Clinton Street and Main Street is referred to as the “Central Square Historic District,” and the square is listed on the U.S. National Register of Historic Places. Central Square is well known for its variety of bars, churches, ethnic restaurants, shops, and live music and theater venues. Historic churches on the square include Christ the King Presbyterian Church, First Baptist Church, Saints Constantine and Helen Greek Orthodox Church, and more. Many Internet and video game companies have moved to the square because of its proximity to MIT. With its open kitchen, brick walls, glossy wood features, and soft leather touches, Alden and Harlow on Brattle Street is a restaurant that is lively, pleasant, and inviting. Celebrated chef/owner Machael Celfo uses locally sourced ingredients to create classic American fare, but there is nothing ordinary about it. 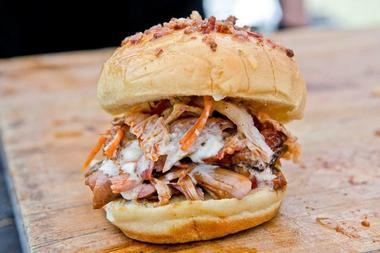 He pairs ingredients in a totally unexpected way to create bold flavors that are slightly smoky and exquisite. Many dishes are shareable, and the small plates are a revelation. Try fried olives stuffed with mortadella with roasted tomato vinaigrette. Check their custom cocktails, which are considered the best in Harvard Square. If you are a student in Cambridge, having a place that serves great burgers and is open late is a great bonus. Tasty Burger gained its reputation in 2014 when it became the official burger of the Boston Red Sox. If you are a fan, you must have tasted it already. Large and juicy, it is made of first-class beef fed on grass and grains, with no hormones or antibiotics. 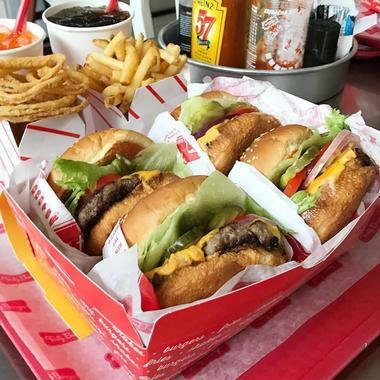 The buns are made especially for Tasty Burger at the old Sunbeam Bread factory and their sauces are all made in-house, fresh. Their Cambridge spot on Harvard Square is a spacious, unpretentious, modern counter-serve with a downstairs lounge that has a billiard table. They do serve craft beers with their burgers. City Wine Tours are designed for those who not only enjoy drinking wine but would also love to learn about the wine of the region. The tours visit different Boston neighborhoods, offer samples of some excellent wines and some delicious foods, and help tour-goers discover great wine shops and restaurants. The tours last about two hours and include visits to three restaurants or shops selling wines, where patrons can sample six different wines and taste several food and wine pairings. There is very little walking involved, as it is only a short distance between places. The groups have a maximum of 12 guests and are led by guides who know and love wine; many work in the wine industry and can answer any and all of your wine-related questions. Located at the top of the Hong Kong Restaurant on Massachusetts Avenue in Harvard Square, the Comedy Studio is a well-known comedy club that hosts comedy acts. Some of the comedians who perform at the studio are veterans, while others are talented newcomers to the comedy scene. Some of the past and upcoming comedians include Kyria Abrahams; Thom Brown, one of the original Comedy Studio comics; D.J. Hazard; Rick Jenkins, the owner of the Comedy Studio; and Brian Kiley, a writer for The Conan O’Brian Show. The studio serves food and drinks, including the popular “Scorpion Bowl” alcoholic drink. 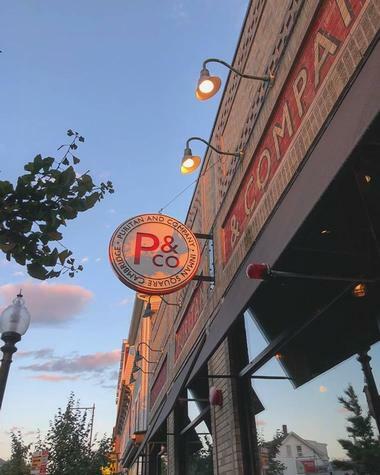 Located on Inman Square in a historic building that was home to the famous Puritan Cake Company in the 1930s, Puritan & Company is a spacious industrial-rustic restaurant that serves modern American cuisine focusing on traditional New England fare with occasional ethnic touches. 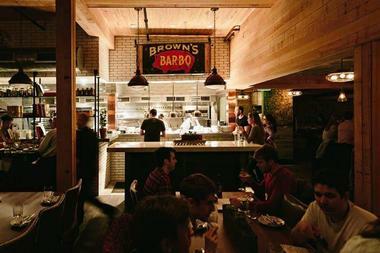 The space is bright and unpretentious, with large communal tables, cozy booths, and a massive bar. 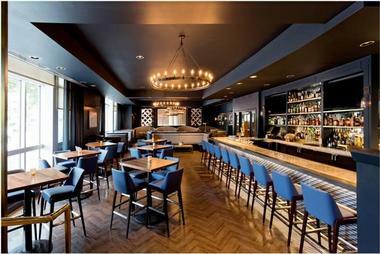 The atmosphere is relaxed and lively, designed for socializing and enjoying Chef Will Gilson’s seasonal delights. Whether you choose his signature Moxie soda-glazed lamb belly or incredible wagyu beef carpaccio with quail egg, tomato, wax beans, and baby greens, you are in for a treat. The best deal is the chef’s seasonal six-course menu for an entire table. 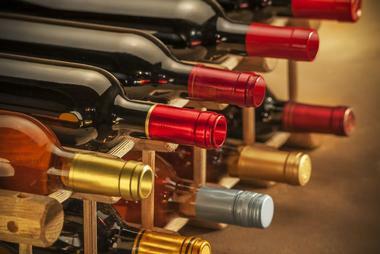 Puritan has an excellent wine list with main wines available by the glass. Grafton Street Pub & Grill is not your typical Irish pub, although it did get its name from a popular Dublin shopping district. It is spacious, polished, and full of light thanks to the large windows overlooking Massachusetts Avenue. It has been the neighborhood’s most popular pub, restaurant, and hangout since 1996. The pleasant, relaxed atmosphere with comfortable booths around large round tables and spectacular food from Executive Chef Eric Gregory make Grafton Street an excellent choice for a lunch with business clients or a dinner with friends. The food is far from your typical pub grub. Their pizzas have toppings like pork short rib confit with puree of maitake, Vermont goat cheese, caramelized onions, and cherry tomatoes. They have a large number of beers on draft from all over the world and a nice international wine list. Located on the Charles River Canal near Tech Square, MIT, and the Museum of Science, Bambara is popular after-work happy hour bar. Its sophisticated décor, relaxed atmosphere, and the presence of Chef Jay Silva also make Bambara a popular destination for lunch or dinner. What Chef Silva calls New American cuisine consists of fresh, seasonal, and locally purveyed or freshly caught ingredients that are made into innovative dishes with a mix of Cape Cod and other exotic influences. Munch on their waffle chips served with tuna tartare and Ponzu dressing,? avocado puree, and sriracha. Sip your cocktail while waiting for the main star of the show, which might be Seared Yellowfin Tuna with sesame crust and soy glaze and served with coconut rice, lemon butter, sriracha, and spinach and mango salad. Bambara has an excellent, extensive wine list. Cambridge residents on a diet try to stay away from Massachusetts Avenue so that not even a whiff of Flour’s sticky buns can reach them. 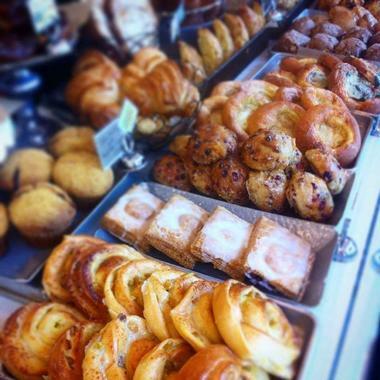 Flour is a very popular bakery and coffee shop whose renown is almost reaching cult-like proportions. At Flour, they spend the 24 hours of each day making endless amounts of hot crunchy baguettes, brioches filled with raisins and covered with delicious icing, out-of-this-world, smooth-as-silk double chocolate truffles, butter-dripping flakey croissants, and, of course, their legendary sticky buns, covered with dark caramel and toasted pecans. They also make fabulous sandwiches with their own hot breads, and soups made from scratch every day. Be prepared to wait, as the line is often out the door, but waiting is always worth it. The Fresh Pond Reservation is a park and reservoir in Cambridge. It is a 155-acre shallow kettle hole lake and is surrounded by 162 acres of land. There is a 2.25-mile road around the perimeter of the lake, and it is popular with cyclists, runners, and walkers. There is also a nine-hole golf course in the park. At one time when the lake was privately owned, the ice harvested from the lake was sold and shipped to cities in North America as well as to tropical areas around the globe. 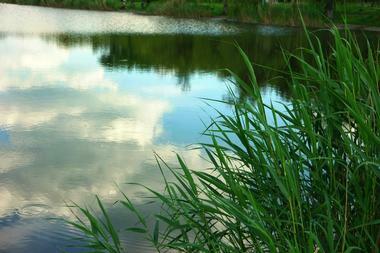 Later, when the city took ownership, the lake was used as a source for public drinking water. The Cambridge Public Library consists of a main library located on 449 Broadway and six branches in other locations around the city. The six branches are the Boudreau Branch, the Central Square Branch, the Collins Branch, the O’Connell Branch, the O’Neil Branch, and the Valente Branch. The main library is housed in a historic 1888 building listed on the U.S. National Register of Historic Places. The library reopened in 2009 after a renovation and expansion that tripled its square footage. The main library also boasts the Children’s Room, a space for children aged 13 and younger that takes up the entire third floor of the building.